Protect all of your household floors and surfaces from scratches and marring from everyday use and movement with these furniture Caster Cups with carpeted bottoms for hard surfaces. Not only will these furniture Caster Cups protect your beautiful hardwood, ceramic or linoleum floors from damage, they ll help reduce noise and friction from everyday use. You ll never have to listen to annoying scraping of a chair against a hard surface ever again! These long-lasting, heavy-duty furniture Caster Cups are made of durable plastic with a carpeted bottom. Use on tables, sofas, chairs, curio cabinets, desks and much more. Each pack includes 4, 2-1/2 furniture protectors they re an essential purchase for every household! Protect all of your household floors and surfaces from scratches and marring from everyday use and movement with these furniture Caster Cups with carpeted bottoms for hard surfaces. Not only will these furniture Caster Cups protect your beautiful hardwood, ceramic or linoleum floors from damage, they ll help reduce noise and friction from everyday use. You ll never have to listen to annoying scraping of a chair against a hard surface ever again! These long-lasting, heavy-duty furniture Caster Cups are made of durable plastic with a carpeted bottom. 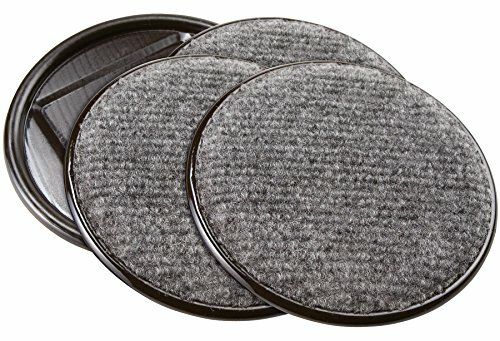 The pads can be used on tables, sofas, chairs, curio cabinets, desks and much more. Each pack includes 4, 1-5/8 furniture protectors they re an essential purchase for every household! Each box contains 12 durable 20" X 20" peel & stick Assorted carpet tiles. Each carpet tile is 3/8" thick & is backed with Patented peel & stick adhesive, making this an easy do it yourself project. This is a great & inexpensive way to cover unfinished floors, basements, garages, & more! each box covers 33 square feet & features a unique assortment of distinct designs that can be mixed & matched to however you like! these mix and matched carpet tile can withstand heavy foot traffic & will last for years. They are easy to clean and easy to replace. 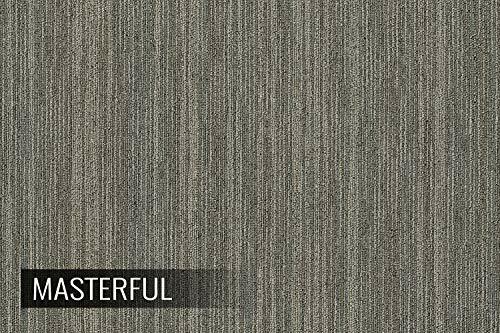 These carpet tiles are created with superior quality nylon and polypropylene materials. Proudly made in the USA, these carpet tiles are a perfect for any space! create your own unique design and layout that will take you no time at all and will go with any decor setting. 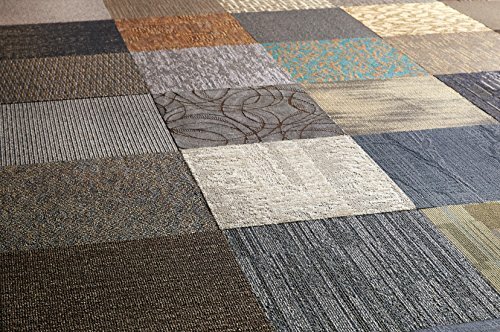 These Assorted peel & stick carpet tiles will not only protect your floors, but will give it a unique of a kind look. 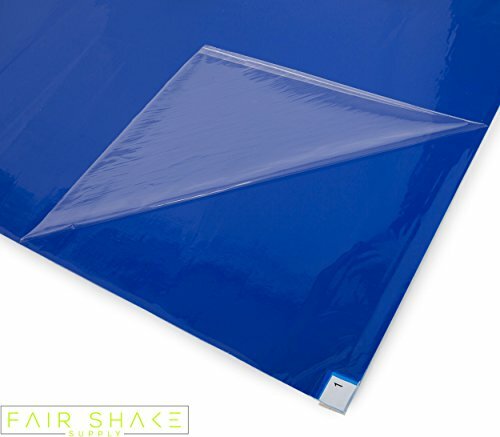 Fair Shake Supply's blue sticky mats are the professional's choice for protecting floors and clean spaces from outside contaminants found on boots, shoes, shoe covers, wheels and carts. The unique adhesive found in each of the thirty (30) layers will ensure proper removal of contaminants so that existing finishes and clean room conditions are maintained. ENSURE SPACES STAY CLEAN - Tired of constantly sweeping, cleaning and mopping floors? The highly developed and researched adhesive found on each of the thirty (30) individual layers per pad is guaranteed to trap all of the contaminants and debris found on shoes, boots, wheels, carts, and much more! DO IT LIKE THE PROS - Professionals around know that the only method to guarantee a successful project or work function is to maintain an organized and clean method for progress to occur. By using our sticky/tacky mats, you can rest assured that you can focus your attention on getting the job done and not on the constant cleaning needed without these entrance protectors. PERFECT SIZE FOR ENTRANCES - The 24 x 36 shape of each pad can be squarely placed outside of the entrance points of your clean spaces which provides an immediate barrier to keep your jobsite, home renovation project, hospital, pharmacy, and your cleanrooms free of debris. MULTI-LAYERED LDPE CONTROL - Our mats are constructed with low density polyethylene plastic with easy to peel, disposable layers which trap 99% of all contaminants (dust, debris, etc.) from entering your controlled, working areas by immediately capturing at the point of contact. Ensure proper application of the mat to the floor surface prior to use to ensure it does not free itself after each layer is peeled off. FOUR PADS PER BOX - Each individual pad provides thirty (30) layers of peelable, disposable films so that there is a constant clean and protective element available for your use. Each box has four (4) pads, therefore your purchase includes 120 chances to protect your controlled areas so that you don't have to! Protect all of your household floors and surfaces from scratches and marring from everyday use and movement with these furniture Caster Cups with carpeted bottoms for hard surfaces. Not only will these furniture Caster Cups protect your beautiful hardwood, ceramic or linoleum floors from damage, they ll help reduce noise and friction from everyday use. You ll never have to listen to annoying scraping of a chair against a hard surface ever again! These long-lasting, heavy-duty furniture Caster Cups are made of durable plastic with a carpeted bottom. 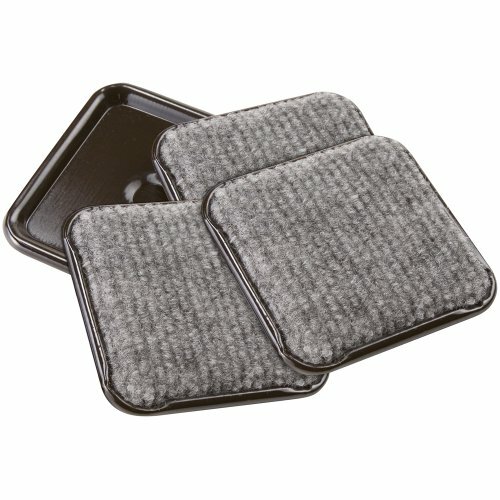 The pads can be used on tables, sofas, chairs, curio cabinets, desks and much more. Each pack includes 4, 4 furniture protectors they re an essential purchase for every household! NaturVet No Flea Carpet Crystals is a dry crystal flea powder for carpets that works on carpet and under cushions of upholstered furniture to kill fleas. The dry crystals easily vacuum up and cover approximately 1,000 Sq. Ft., which should last the average home approximately one year. 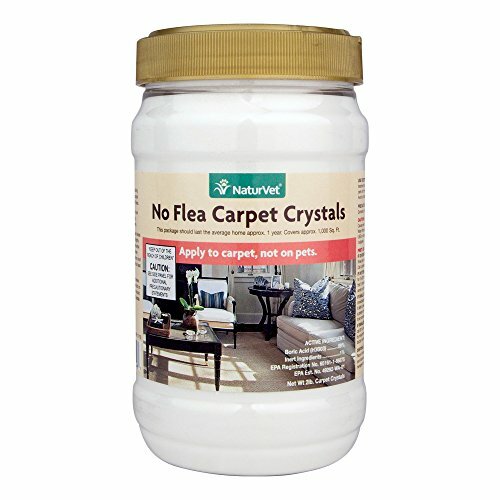 To kill fleas on your carpet and your furniture, try our No Flea Carpet Crystals today! OPTIMAL COVERAGE - Our flea powder for carpets and upholstery covers approximately 1,000 Sq. Ft. and should last the average home approximately one year. Works on carpet and under cushions to kill fleas. Dry crystals easily vacuum up. CARPET USE - Apply to dry carpet only. Vacuum all carpeted areas in your home. By shaking container from side to side lightly sprinkle evenly over entire carpeted areas including under beds and furniture where carpet can be seen, wait at least 5 days and then vacuum treated areas. UPHOLSTERY USE - Remove loose cushions, apply along creases and into corners and furniture wells. Do not apply product on top of cushions. Any product visible after application should be removed. Dry, crystal powder easily vacuums up. Requires approxiamately 2-4 weeks to kill all fleas. Protect all of your household floors and surfaces from scratches and marring from everyday use and movement with these furniture Caster Cups with carpeted bottoms for hard surfaces. Not only will these furniture Caster Cups protect your beautiful hardwood, ceramic or linoleum floors from damage, they ll help reduce noise and friction from everyday use. You ll never have to listen to annoying scraping of a chair against a hard surface ever again! These long-lasting, heavy-duty furniture Caster Cups are made of durable plastic with a carpeted bottom. 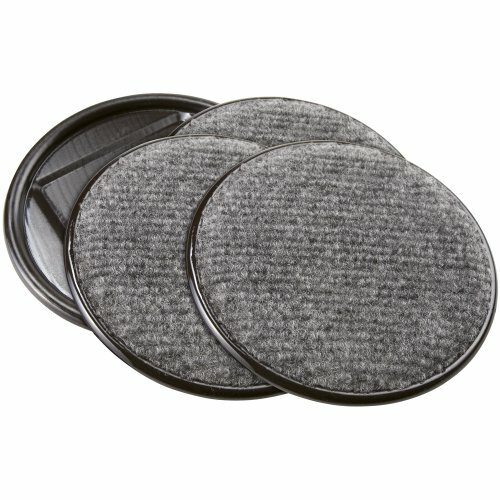 The pads can be used on tables, sofas, chairs, curio cabinets, desks and much more. Each pack includes 4, 1-3/4 furniture protectors they re an essential purchase for every household! 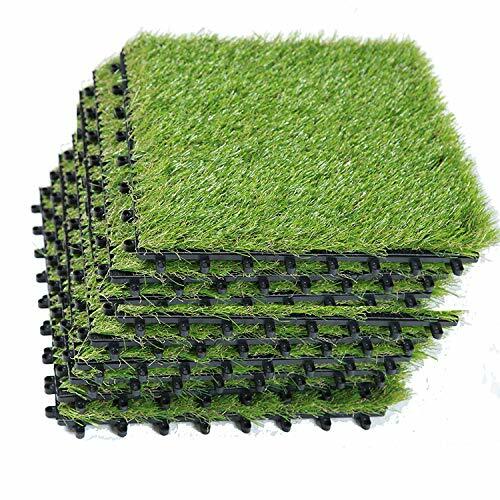 Ecomatrix artificial grass has realistic look with premium material of PP+PE. The artificial grass is perfectly safe for kids and pets without releasing toxic chemicals. High quality synthetic material, Durable material against undue fading and fiber degradation. Proper drain holes for the synthetic grass with rubber backing for enough drainage and easy to wash and clean. Suitable for all the year. Even at high temperature, rain and snow weather, the fake grass can be still durable and non-flammable. The artificial grass turf can be cut to fit your exact requirements. Place and stick tile mats by triluc are soft, interchangeable squares you can arrange, rearrange, wash and reuse time and time again. Whether you wish to relieve your feet in the kitchen, provide a padded play area for children, or simply make a hard surfaced area a little bit cozier, triluc' s place and stick tile mats are the perfect solution. MACHINE WASHABLE: Peel off soiled tile, wash, then stick back in place. MIX & MATCH: Create a custom pattern to match decor. Easy to cut, so you can fit any space! 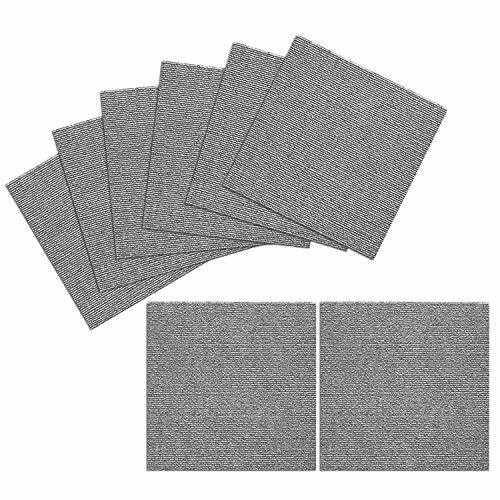 Each order contains 180 durable 20 inch x 20 inch peel & stick assorted carpet tiles. Each carpet tile is 3/8 inch thick & is backed with patented peel & stick adhesive, making this an easy do it yourself project. This is a great & inexpensive way to cover unfinished floors, basements, garages, & more! each order covers 500 square feet & features a unique assortment of distinct designs that can be mixed & matched to however you like! Durable 12 x36 Assorted carpet tile planks that are backed with contract grade peel and stick adhesive. These make for a great and inexpensive way to cover unfinished floors, office space, basements, garages, and more! each box covers 30 square feet & features a unique assortment of distinct designs that can be mixed & matched to however you like! proudly made in the USA, these carpet tile planks are built to last with mold and mildew prevention making them great for high foot traffic areas. Create your own unique design today. Protect all of your household floors and surfaces from scratches and marring from everyday use and movement with these furniture Caster Cups with carpeted bottoms for hard surfaces. Not only will these furniture Caster Cups protect your beautiful hardwood, ceramic or linoleum floors from damage, they ll help reduce noise and friction from everyday use. You ll never have to listen to annoying scraping of a chair against a hard surface ever again! These long-lasting, heavy-duty furniture Caster Cups are made of durable plastic with a carpeted bottom. The pads can be used on tables, sofas, chairs, curio cabinets, desks and much more. Each pack includes 4, 2-1/2 furniture protectors they re an essential purchase for every household! 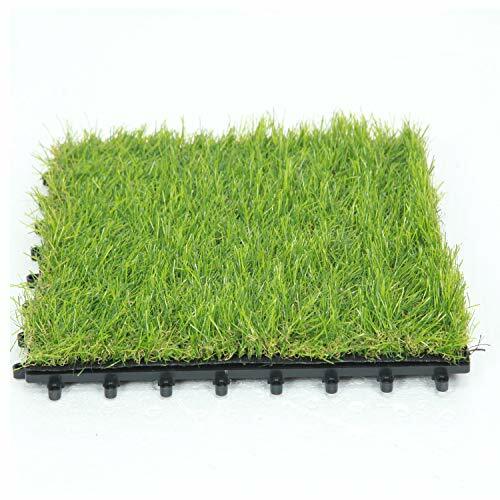 The synthetic grass tiles never have to water, weed or mow. These artificial grass tile turf as a perfect lawn replacement will always look green and natural without all of the fuss. 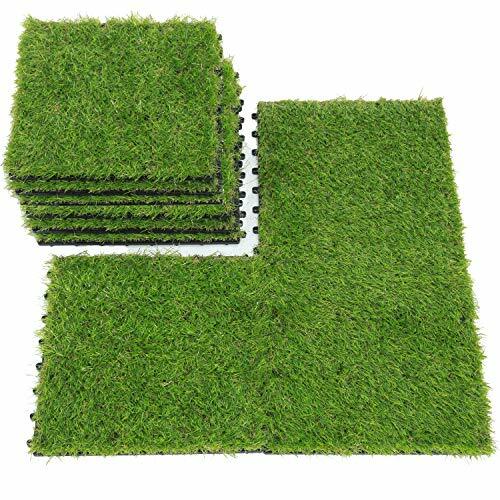 Green grass turf features an approximate 1.2" pile height and beautiful field and olive green blade color combinations, emulating the characteristics of a real grass lawn. Paired with these natural color tones, our grass roll also features a brown thatch which adds to its striking realistic appearance.This fake grass is soft, non-toxic and lead free, creating an excellent play area for kids and pets. Description - Heritage carpet tiles are the perfect low cost carpet tile solution for your unique space. 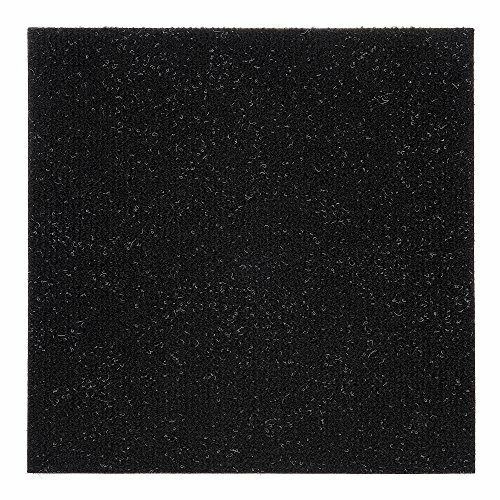 Budget friendly, this stain resistant carpet tile is approved for moderate commercial traffic areas and for use in any room of the home. 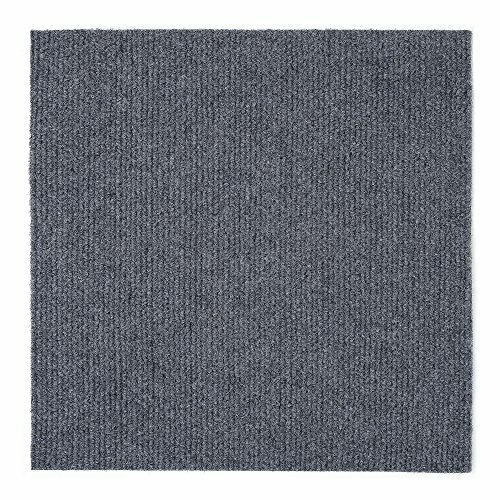 Available in several attractive yet neutral colors, this durable carpet square will be great for your office, waiting room, bedroom, basement, and more. Recommended Installation Pattern - 1/4 Turn (Parquet), Monolithic, Ashlar, Brick, Random. Material - Constructed using 100% polypropylene and a polyester spunbonded backing with glass reinforced PVC for stability. Traffic Type - Medium - (This Traffic type works well across most uses). Recommended Uses - Heritage carpet squares have been successfully installed in moderately trafficked spaces, including office buildings, hallways, breakrooms, computer labs, waiting rooms, boutiques, rental properties, bedrooms, basements, and more. 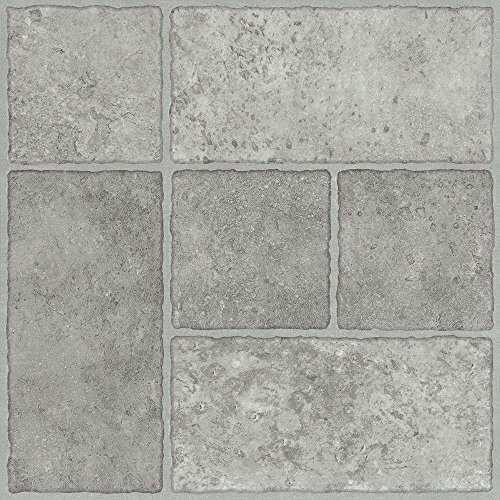 20" x 20" tile.- Tiles can be adhered with double-sided tape or you can use a pressure sensitive adhesive for a more permanent hold. Colorfast, sustainable, and crush resistant. ALL AMERICAN CARPET TILES are proudly made in the USA! You can create an exciting new look for your floor. Tiles are self-stick - just peel off the film on the backing and put in place. A quick and easy do it yourself installation saves both time and money, and is a great way to update the look of any space that needs flooring. And the best part is you can use carpet tiles almost anywhere. Scotchgard protection and an antimicrobial treatment give you added value. The releasable adhesive makes it easy to pull the tiles up if you want to change the room later. QUICK AND EASY INSTALLATION: Saves you both time and money. Simply peel off the plastic film and place in position. Complete installation and design instructions in every carton. MULTIPLE DESIGN POSSIBILITIES: Carpet Tiles may be used in various configurations to create the perfect setting for any environment. SCOTCHGARD AND ANTIMICROBIAL PROTECTION: Treated with Scotchgard Protector to help resist soil and stains. The backing is also treated with an antimicrobial agent to protect the carpet against odor-causing bacteria, mold, mildew and fungi. Suitable for below-grade installations such as basements. 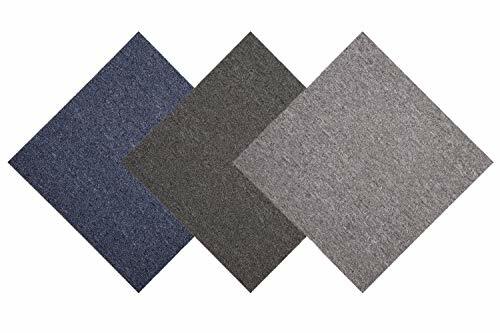 USE ALMOST ANYWHERE: Carpet Tiles are perfect for bedrooms, kitchens, basements, dens, playrooms, laundry rooms, entry ways, rental properties, dorm rooms, hallways, retail stores, offices and a host of other applications. The only limit is your imagination. VALUE PRICED UNDERFOOT COMFORT. An economical do-it-yourself way to update almost any room or location. Sturdy carpet tiles are soft and warm underfoot and create a comfortable and cozy setting. 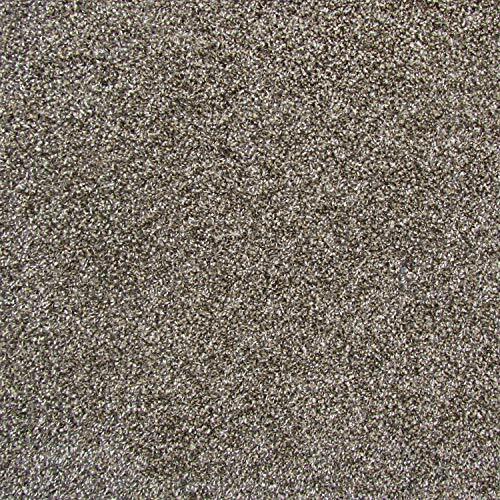 Description - Shaw Intellect Carpet Tiles are the perfect alternative to broadloom carpet in your home or business. These carpet tiles squares are very easy to clean and maintain and can be easily replaced if damaged. 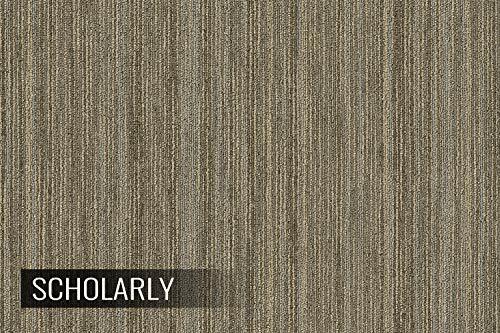 Available in several neutral tones, this linear patterned carpet is certain to compliment any rooms d cor. These floor carpet tiles are backed by a 10-year commercial warranty and a lifetime stain warranty. Traffic Type - Medium - (This Traffic type works well across all uses) Recommended Uses - Shaw Intellect Carpet Tiles are the perfect flooring option for any room in your home or business and have been used as flooring in bedrooms, as living room carpet, as basement flooring, in dining rooms, as family room carpet, in home offices, as carpeting in churches, and much more. Carpet can be installed with glue,tape or carpet tile tabs.